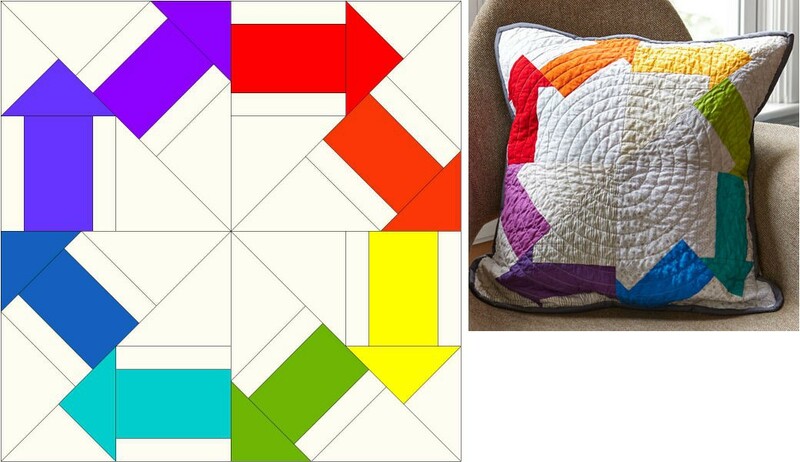 This Clockwise Pillow is featured in Quilts and More Magazine Spring 2017 issue. Finished pillow picture courtesy of Allpeoplequilt.com I designed this arrow pillow in EQ7. 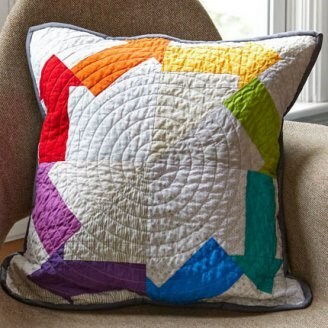 It is made up of 4 identical blocks that are just rotated and sewn in rainbow colors. 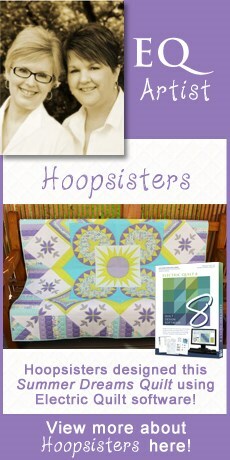 I used low volume grey prints for the background and quilted a round spiral for texture.